Lots of people are familiar with skylights, but how many know about skylight blinds? These days, lots of modern homes have skylights. Not only do they dress up the exterior look of a house, but they are a good source of natural lighting. In addition, during the cool months of fall and the ice cold of winter, they are a great way for someone to heat their house. Yet, there is also a downside to them. Isn’t that always the case? Seems everything in life is a “double-edged sword.” Those same skylights that warm when it is cold also warm in the hot “dog days” of summer. Not a good thing. Even in times of year when heat is not an issue, there is always that inconvenient time of day when the sunlight just happens to shine at just the wrong angle or place. The answer? Blinds for the skylights. They not only look nice and really dress up the window, but they also help to save money by reducing heating and cooling costs for the home. Skylight blinds, like any other kind of blind, come in a wide variety of colors, styles and models. Some are like the standard blinds, but as skylights are (by definition) in the ceiling, some are quite high up. That begs the question: how on earth are they operated? In that situation a motorized unit can be installed to allow the blinds to be raised and lowered at the push of a button. 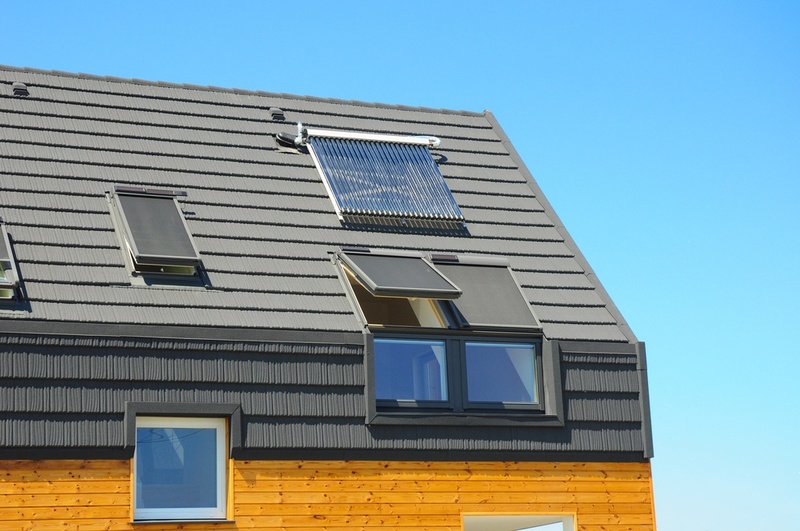 Once they are put in place, homeowners report that the blinds help to lower the cost of heating and cooling, they reduce the amount of light and glare during certain times of the day and year, and they significantly reduce the amount of noise. Purchasing skylight blinds is just like anything else: it is just a matter of finding the right manufacturer. Comfortex, Graber, Hunter Douglas, Bali and Velux are only a few of the firms out there, and all come highly rated for being dependable. As with any other aspect of home improvement, it is important to be careful in selecting the style, model and color carefully. A good blind, well-made and accented to blend with the home’s décor, can give a real boost to the overall appearance. Picking out the wrong color and style can be equally disastrous to a homeowner’s efforts at improving their house’s curb side appeal.